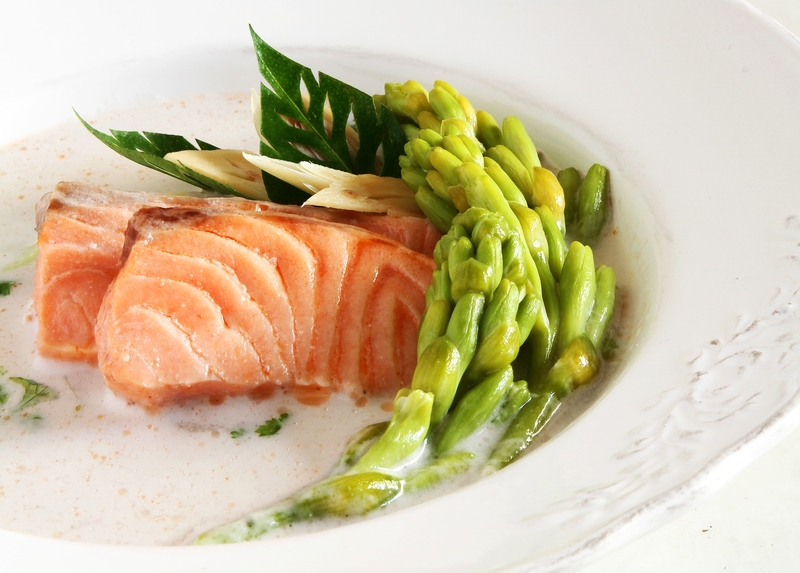 THIS salmon recipe combines the heat from the Galangal with the sweet, floral flavour of the Tuberose. They become a winning combination that brings out the depth of flavours in this elegant dish. This recipe was first published in Flavours magazine. In a pot, bring water to the boil, then add galangal, lemongrass, coriander roots and shallots, and simmer for 5 minutes. Next, add the salmon, tuberose, fish sauce and sugar, and bring to a gentle boil without stirring. Add the coconut milk and kaffir lime and coriander leaves, then turn off heat. Add the lime juice to the soup just before serving.